It has been a while since I posted a gratuitous photo of my cat, Nala. She loves being outdoors as the temperature descends. 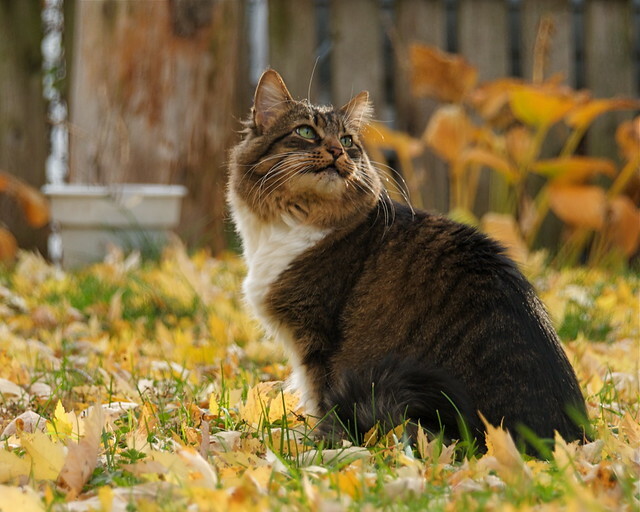 She did not go out last winter, so I do not know if she will still enjoy being outside once the snow flies, but for now she is a happy kitty. If you don't have a blooger or "open" ID, you are free to use "Anonymous" for your posts, and leave your name if you are willing. I am a professional photographer specializing in fun and fabulous portraits capturing the Real You, from mild to WILD. For quality studio photography at affordable rates, look no further than eyeDance Studio located in Madison, Wisconsin (by appointment only). This 24"x18" poster is available for $15 (plus shipping). 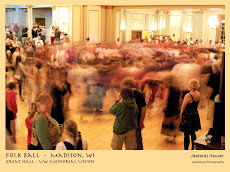 Treasure the beauty of Madison's Folk Ball forever!